It was fortuitous for Eric Kandel and the world that he came of age at the beginning of the amazing series of neuroscience developments that occurred during the second half of the 20th century—developments sparked principally by the 1953 discovery of DNA. The result is that the 21st century began for Kandel in Stockholm, Sweden, where he was awarded the 2000 Nobel Prize for his major discoveries about the underlying neurobiology of learning, memory, and related phenomena. It was quite a journey for a Jewish boy who had to flee Vienna for America at age 10 because of Nazi persecution. He describes his remarkable personal and professional life in a fascinating autobiography, In Search of Memory: The Emergence of a New Science of Mind (2006, Norton). Kandel is an excellent writer, and he got competent help to make complex scientific explanations and illustrations more understandable to general readers. 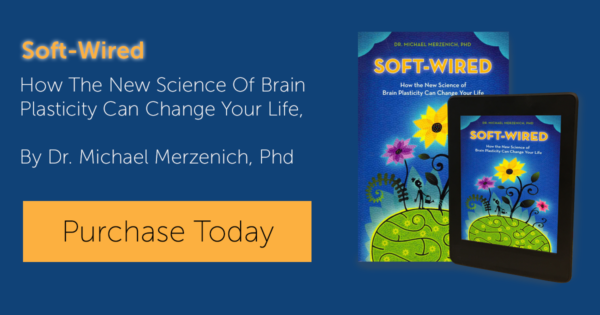 The book thus provides excellent non-technical explanations of many brain systems and processes. The sense one gets in reading the book is that the development of the cognitive neurosciences followed a clearly delineated path, and yet it was quite hit and miss at times. Kandel just makes it all so beautifully obvious—one discovery leading to the next. In the end, the reader has a marvelous sense of the unity of the research trajectory, but also of the major role that neuroimaging technology played in the recent escalation of cognitive neuroscience research capabilities and discoveries. A personal note: Eric Kandel and I are about the same age. He set out to be a clinical psychiatrist but his interests shifted to neuroscience research. I set out to be a biologist but my interests shifted to teaching and writing—to explain scientific discoveries rather than to make them. I thus studied Kandel’s research discoveries from the perspective of a teacher and writer. Reading Kandel’s autobiography was a personal delight because it allowed me to relive those years when I struggled to explain to a dubious education profession why research conducted on marine snails was educationally significant. In the era before neuroimaging technology, simple animal models were a research necessity, and Kandel focused on Aplysia, a marine snail that has only 20,000 neurons that are unusually large (and so more easily studied) and are mostly grouped into nine ganglia (functionally related neuronal clusters). Since Aplysia also has a relatively small repertoire of behaviors, it was a good experimental model for Kandel’s research into the cellular base of learning and memory. I was always intrigued by an Aplysia’s bisexuality. It has a male sexual organ in front and a female sexual organ in back, so at mating time the nearby Aplysia seemingly come together and line up front to back in a copulatory chain of galactic proportions. Kandel’s early research focused on what occurs at the cellular and molecular levels when an animal learns to associate one stimulus with another—for example, the sound of a bell with the imminent arrival of food, or learns to ignore an irrelevant stimulus. Such cellular and molecular level studies morphed into studies of learning and memory within brain systems. The late 20th century emergence of neuroimaging technology escalated the research, and gave scientists the confidence that they could make the big leap into the neurobiology of consciousness, the Holy Grail of the neurosciences. Kandel is very generous in crediting the efforts of his colleagues. It’s thus strange that he doesn’t mention Daniel Alkon or cite any of his research. Alkon, who used the marine snail Hermissenda as his memory research model, was a principal competitor of Kandel in marine snail research. Kandel and Alkon were very competitive, and this probably drove both to work harder to solve the many challenges the research posed. Alkon’s 1992 book, Memory’s Voice, devotes several pages to their areas of disagreement. It thus would have been interesting to read Kandel’s comments on the competition and relationship. But maybe it’s just as well that he left it out. Kandel’s book is after all the story of his life and research. Kandel identifies five principles that characterize contemporary neuroscience: (1) Mind and brain are inseparable concepts, in that mind is simply a set of brain operations, (2) Our brain’s various functions are processed in specialized neuronal systems that are located in different but very interconnected brain regions, (3) The same kinds of neuronal and glial cell systems process all brain activity, (4) Neural circuits use specific molecules to transmit signals within and between cells, and (5) All animals use the same signaling molecules to regulate activity. Kandel’s career has focused principally on understanding our brain at the molecular and cellular levels. 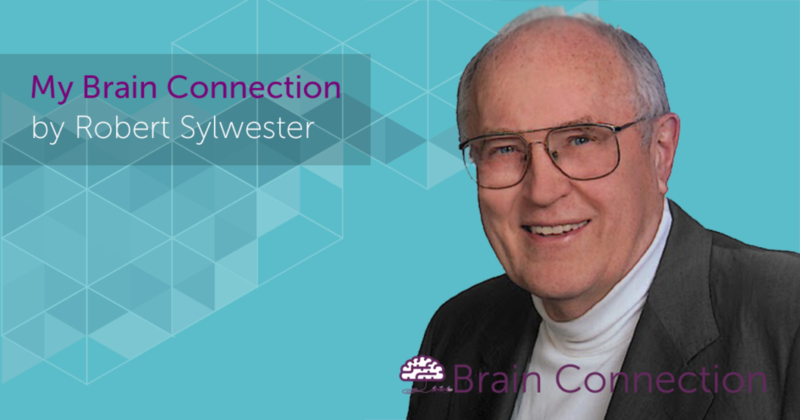 He suggests that 21st century neuroscience will focus more on the brain circuits and systems that regulate cognition. He thus ends his book with a discussion of three major systems problems that he would want to study if his career were just beginning. 1. What factors regulate the unconscious processing of sensory information about our environment, and how does conscious attention regulate the processes that then stabilize experiential memories? This is a central issue in understanding consciousness, and in the recall of memories from different places and times. 2. What is the relationship between unconscious and conscious cognitive processes? Much brain activity occurs at the unconscious level, so how do we use conscious attention to access unconscious activity? 3. What is the relationship between the activity of an individual brain and the corporate activity of a group of brains—in effect, what is the sociology of cognition? The discovery of mirror neurons suggests that our brain can represent and mimic the cognitive behavior of others, and language is certainly another powerful social phenomenon. In Search of Memory is a fascinating story of a remarkable scientist and a remarkable era. Retirement isn’t on Kandel’s agenda, and I expect we haven’t heard the last of his explorations within the three-pound brain that resides in our body’s penthouse—where the view is the best. What a great time also for young educators to contemplate a research career that will focus on the educational applications of emerging neuroscience discoveries. Kandel’s autobiography should certainly get their juices flowing. 0.5% of the general population has epilepsy. But it is estimated that one in 20 people will have at least one seizure during the course of their life. While seizures are characteristic of epilepsy, having a single seizure does not, in itself, constitute epilepsy. The effects of seizures can vary from complete loss of consciousness to mild shakes or loss of balance.